Uniquely designed wall art in a three dimensional contemporary styling. Highly figured quilted maple evokes a unique depiction. The wall art is raised and set in a black frame to provide three dimensionality and depth. All surfaces are hand planed and scraped to provide meticulous attention to both detail and finishing. Finishing performed utilizing a classic French Polishing technique. 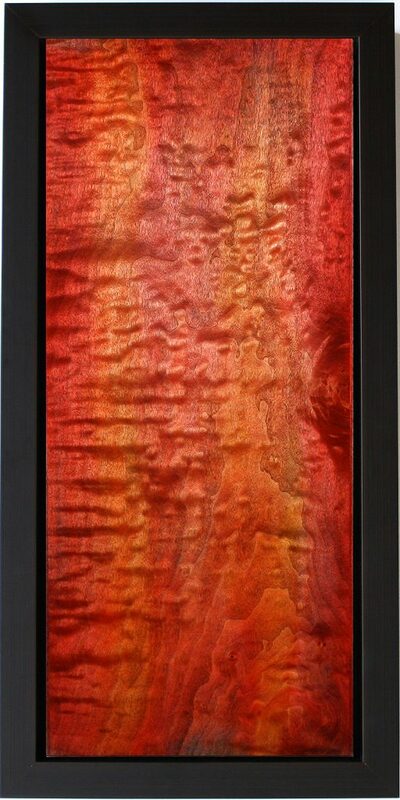 This entry was posted in Wood Art by Norman Pirollo. Bookmark the permalink.